The Auto Marketing Blog: Will the “First Online Test Drive” Inspire At Least One Real Test Drive? Will the “First Online Test Drive” Inspire At Least One Real Test Drive? 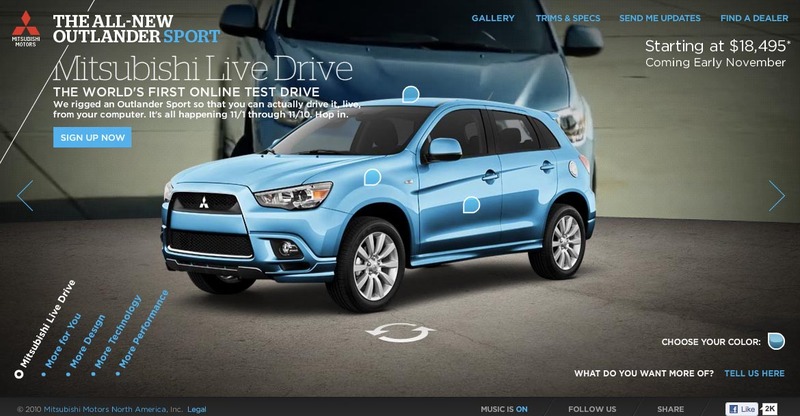 Mitsubishi thinks you will be interested in driving their new Outlander Sport using your keyboard. To do this, they have rigged a SUV so that one can control it online. I kept seeing the ads on TV and received some email from Mitsubishi (I signed up for updates months back), but didn’t realize until I went to the Outlander Sport micro-site that the test-drive is being held November 1-10. To participate in the “Live Drive”, there is a sign-up form that has to be sent before November 1 and those who register will receive an access code. The drive looks like it will be similar to a consumer ride and drive event where several orange cones will be setup in a large, empty parking lot. The new Outlander Sport will then be controlled by a remote control. “Live Drive”, “Virtual Test Drive”, “Online Test Drive” whatever they are called it is not something new. Every automaker I’m sure has had a brainstorming session around how can they get consumers to experience a test drive using a computer. If you can’t get ‘butts in seats’ you might have some luck getting people interested in a vehicle while they virtually drive with butts is in desk seats. 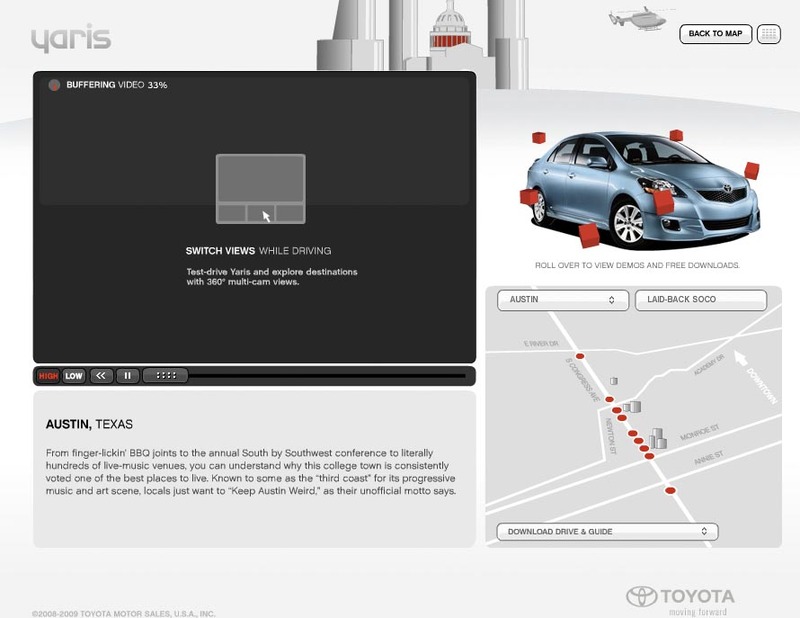 Toyota did their version of a Virtual Test Drive with their Yaris launch site a couple years ago. Yaris let users control four different camera angles and added some hot spots to get more information while the car drove through one of five user selected cities. The Yaris drive highlights key local landmarks for those wanting to learn more about the cities the car drives through. Everything is video based so it is far more passive than what Mitsubishi is attempting to do with the Outlander Sport. The interactivity of changing camera angles or clicking hot spots doesn’t feel like a test drive; it feels more like switching camera views on a video game, not playing the video game. I have a feeling the Outlander Sport “Live Drive” will be more like playing the game than controlling viewing perspectives. It’s an interesting novelty experiment. Will it move much product? Who knows? If it is executed well then it may catch some buzz and thanks to a somewhat healthy TV ad buy from a minor automotive brand it should get a decent initial audience. I’m looking forward to my online test drive and will send an update to let you know what I think about the execution and since my family is in the market for a new SUV, who knows, maybe I might go from office seat to car seat as Mitsubishi hopes. Although this is one of the good model car, but I've no such aim to buy that type of car. I want one used car for the best use of my family.